Great news! My business trip has been postponed, so I will be able to participate in Komen Race for the Cure on Saturday. I am so happy about that. This is my favorite event of the year and am looking forward to it. The only thing I am worried about is that I haven’t had much time to train, with all the grandma stuff going on this week. I’m hoping to get a good workout in tomorrow, rest on Friday, and have a great race on Saturday. I guess its also time to watch my diet and eat foods that will help my performance. I hope I remember that. I received my race packet in the mail with my shirt and bib. I still have to pick up my timing chip either Friday evening or Saturday at the race. I checked the weather forecast and it looks like it will be a chilly morning. That’s usually a good thing for races. I just hope its not too cold. I hope to take lots of pictures this year to share. This is a very powerful event and draws thousands of people. It’s great to see so many people come together in the fight for breast cancer. My mother-in-law, Nancy Sue Done died of breast cancer before I was able to meet her. I run in her memory. I also hope to finish under 49 minutes, my last PR. If I don’t, I won’t be too hard on myself since I have been too busy to train. My last race was in September, about a month ago. I’m just thrilled that I’ll be able to do this – regardless of my pace. Previous Previous post: I’m a grandma! 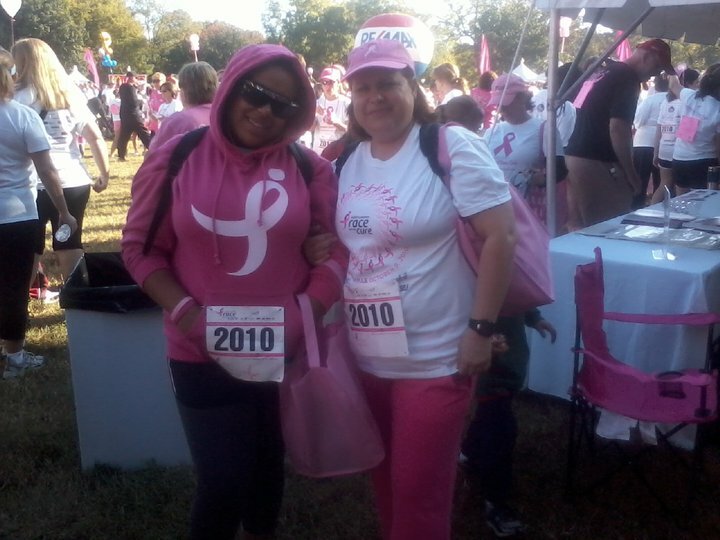 Next Next post: Komen Race for the cure!